Either they are going to conduct another mcq based test or descriptive test ? If descriptive test then what is going to be it’s syllabus ? It will be a descriptive test (English) of 100 marks. Thanks for responding brother . 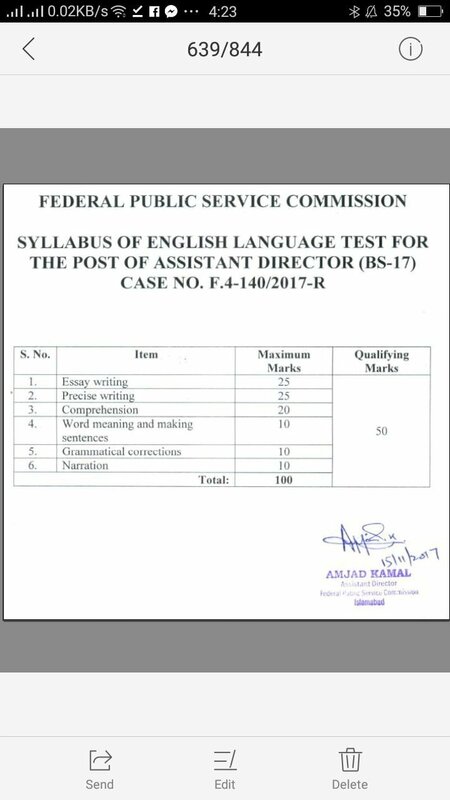 Any idea when will they publish the syllabus on Fpsc website for the current descriptive test ?